A few years ago, if you mentioned the word Virtual Reality, everyone would stare at you in daze. However, these days you get everyone chatting when mentioning VR Headset. If you have never tried any VR device, you are definitely missing on an immersive experience. One of the perks of living in 2017 is that you can buy hosts of these devices. One of them is the GreatCool 3D VR Headset. Let’s see just how good GreatCool 3D VR Headset is in our review here. The GreatCool 3D VR Headset Test: Is it a Winner? The first impressions you get when looking at the GreatCool 3D VR Headset are durable, sturdy materials. The manufacturer has made it portable enough for you to take it with you when needed. Compared to the Google Cardboard headsets, this one wins by far at design and price. The next question is how well it compares when you use it. Let’s find out. First, the appearance of GreatCool VR headset is aesthetically pleasing. A world map pattern is found on the front. The headset has three modifiable straps. You can set the straps according to your head. The great thing is the straps are designed to fit different head shapes and sizes. Further, the face pad is constructed of quality leather. This helps increase breathability when used. GreatCool VR headset will not fall off your face easily during those exciting, thrilling moments. It uses a magnetic buckle to keep the mobile phone secure. There is an adjustable button design for ease of mounting and removing your phone. This is a handy feature as it prevents the phone from falling down. It works with any and all Android or iOS phones with a 3 – 6-inch screen. You can enjoy playing 3D games, visit cities, view movies, or even become your favourite animated character. 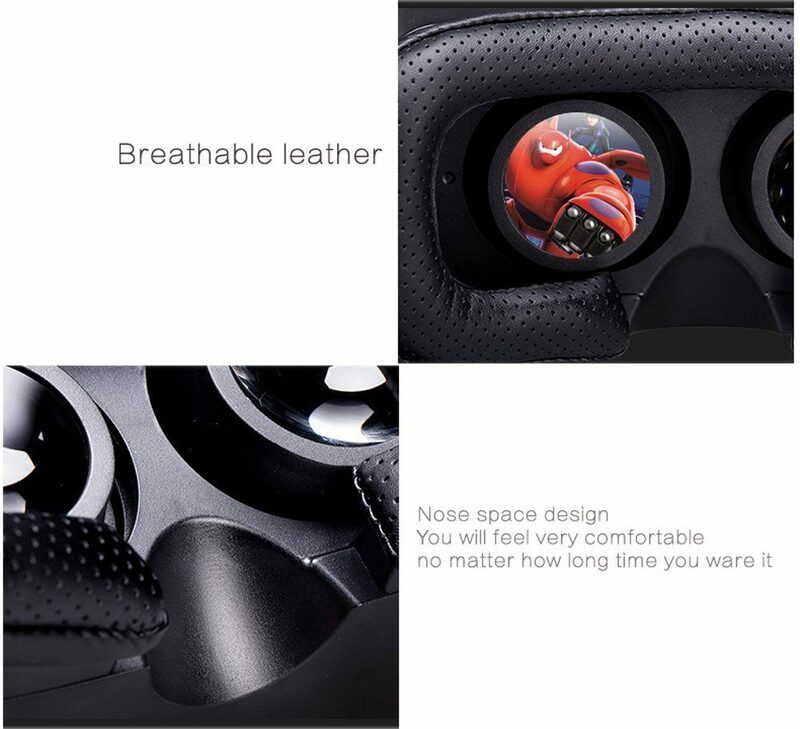 For heat dissipation, GreatCool VR headset has vent holes on both sides, keeping your face cool and preventing the lenses from fogging up. How great are the lenses? GreatCool VR headset uses 42mm diameter lenses for the best viewing experience. The lens focal and pupil distances are easily adjustable. 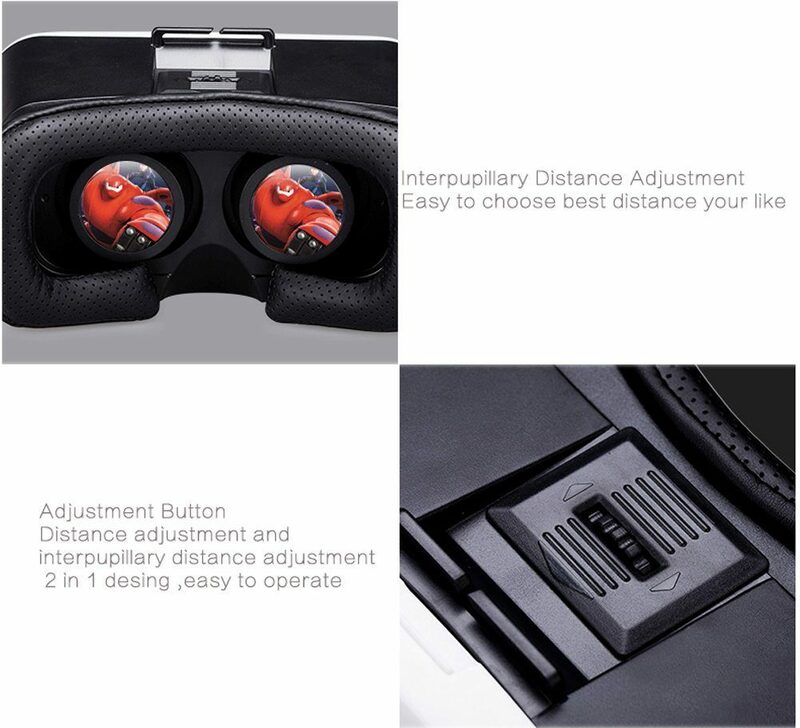 This allows you to enjoy your 3D games and movies regardless of your interpupillary distance. The lens is perfect to wear without glasses and reduces glare and any deformities, allowing your eyes to stay refreshed and well rested. This helps you enjoy playing your games for longer. On the lens, the manufacturer used a blue coating technology that helps block electromagnetic radiation. Further, the lenses are polished five times and are protected by eight layer nano-coating. Does the VR Headset Include Apps? This is where the GreatCool VR Headset falls short. For one, you do not get instructions on how to use the device. However, mounting your mobile phone is easy. There is no mention of apps you can use to walk you through the process of using your phone with the headset. We recommend you look at the Fulldive VR app available on Google Store. It is free to download and use. Once you have downloaded the app, it walks you through the entire process of setting up the headset. After setting up your device, you can use the charger and headphone simultaneously and you can find different apps to use in Google Play Store. 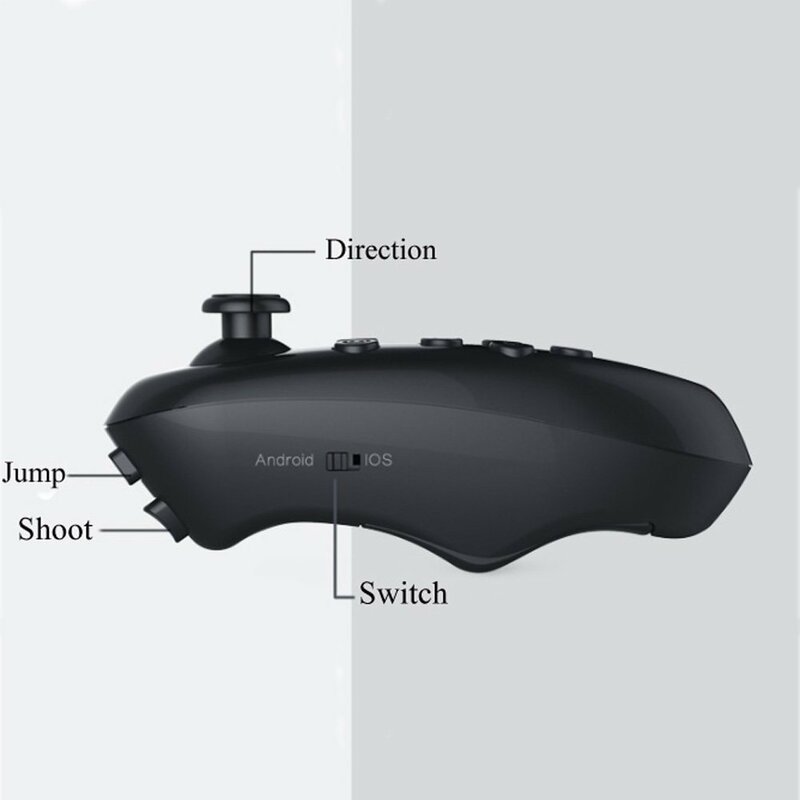 Bluetooth remote control – the remote control is perfect to use with Android 4.0 and above, iOS, and PC systems. Further, it supports the wireless mouse, TV box, PC, and Selfies Shutter. GreatCool 3D VR Headset reviews from verified customers claim the headset to be on the heavy side. Further, they feel the manufacturer can design it with a little bit of foam on the nose section for comfort. Customers love the durable design, breathability, and versatility the headset offers. Overall, it received it a 3.4-star rating. Despite the shortcomings, GreatCool 3D Virtual Reality Headset is definitely one of the top headsets out there. For just $12, you get a headset and a Bluetooth controller. Despite being a bit less comfortable, GreatCool 3D Virtual Reality Headset is a great entry-level option. It’s perfect as a gift for friends and family looking to have their own VR device.